Did you know you can side hustle as a search engine evaluator? Many large companies are hiring evaluators, and this is a great flexible job that allows you to work from home. 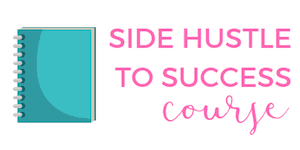 I love learning about how other people side hustle, so I'm really excited to share this unique guest post from my friend Suchot. Enjoy! 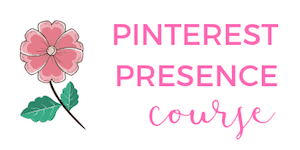 I'm so excited to be guest posting on Kristin's blog today! Her blog was one of the first personal finance/side hustle blogs I started reading on the regular. My name is Suchot and I write at The Curious Frugal. It's my passion to help people go after what they want in life, even (especially!) if it looks unconventional. I am not someone who loves the typical 9-5 job. I am always looking for something different. Side hustles fit my personality and the lifestyle that I want. After graduating from university and trying jobs related to my degree, I followed my heart and started a successful local bakery. Two years ago I had a baby and everything changed (big understatement!). I didn't want to be a business owner who had to be out of the house all the time, so right before she was born I closed the bakery. I really wanted to spend a lot of time with my daughter before she was in school. So I started looking for a side hustle. I still wanted to bring in some money, but a huge priority was having a very flexible job. 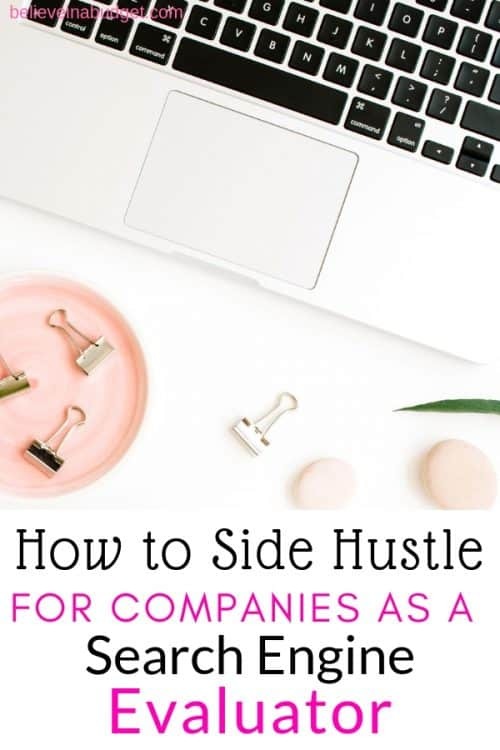 I found sites like Believe in a Budget, and resources such as Kristin's Epic List of Side Hustle Ideas opened my eyes to a whole different world of job opportunities. It sounded flexible and exciting. I wanted in! I experimented with different hustles: I sold second-hand items, I tried mystery shopping. There is a post I wrote all about flexible side hustle ideas that you can check out too. Then I came across a job posting for a search engine evaluator. When I first read about it, I thought it didn't sound like a legit job. Get paid to surf the web? It sounded too good to be true. While it is not exactly like that, it is an interesting web-based job. I did a lot of research to make sure this was genuine and found there are several legitimate companies offering search engine evaluator positions. These will be shared with you below! I have been working as a search engine evaluator now for 8 months. I signed a non-disclosure agreement so there are certain things I won't be able to talk about, but there is a lot that I can! What exactly is a search engine evaluator? A search engine evaluator helps improve search engine results for some of the world's largest internet search engine companies. The ones you use all the time to look up recipes, job search, look up your favorite blog, and ask all your burning questions! Search engine evaluators provide feedback and analysis of data. This is done by measuring how relevant and useful web pages are in relation to queries that you are given. Evaluators also provide comparative analysis of sets of results and various other techniques. Search engine evaluators work on lots of different evaluation projects, including web search, video evaluation, maps, local, automation projects, and more. To break that down a bit, yes search engines use algorithms but there are also humans behind figuring out good results for a particular query. There are real people behind search engine results and I am one of them! What types of skills should you have to hustle as a search engine evaluator? These companies are looking for people who have a broad range of interests plus specific areas of expertise. You need to have high speed internet, your own computer with anti-virus software, and be at least 18 years old. Some positions require your own mobile device as well, and for others you need a college/university degree (not all though!). There are also search engine evaluation jobs for people who speak languages other than English. You don't need a headset as this isn't at all like a call center position. You won't be making or receiving any phone calls as part of this job. For me this was a big yay as I am not a phone person! There is no perfect job for everyone and this is no exception! This job is not for you if you prefer more direct supervision. It really is super independent and you do have to figure out a certain amount on your own. If you do better with more guidance in your working life, this might not be the best fit. Different companies might refer to this job with different terms. Search engine evaluator, web search evaluator, quality evaluator, search engine rater, quality rater. All these names refer to similar positions. Some of these companies also offer positions as a social media evaluator. I haven't applied for this position yet but it sounds interesting too! Although it might sound like a good idea to try to work for a couple of these companies to make more money, be very careful about this! Check with the particular company that hired you first before you apply to a second. Most positions that I have seen state that if you are hired you can't work for any of the other companies. Also some companies will only allow one search engine evaluator per household. What is the income for this side hustle? This is a tricky question to answer because it really is so varied! Some people only work a few hours here and there and others work a lot. It will depend a lot on the country to live in, how much work there is available for you, and how much you want to work. I've seen everything from a couple hundred extra dollars a month, to $2,500 a month and more. Why is a search engine evaluator a great side hustle? This is an amazing lifestyle side hustle. It's something that you can do while you are traveling and on the flip side you can work this job at home in your pajamas. It's flexible, interesting, unique, and can really fit into your life instead of fitting your life around your job. 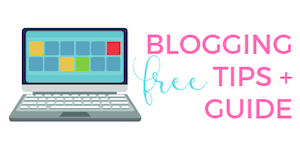 I love that I can log in when I have some free time (for example when my toddler is napping!) and then log out and carry on with my day. If I have more free time in a given week, I can work more and make more money. Before finding this side hustle, I had no idea that Google hired people around the world to work from home. I think that's pretty cool! I also get to learn about interesting things while I am working. I'm someone who loves learning about new things, and with this job I get paid to do so. I have worked on many different projects and get to exercise the analytical part of my brain. What else should you know about this side hustle? Some companies require you to take (and pass!) a qualifying exam before they will hire you. Take this exam seriously! It is definitely passable, but it is not easy. I spent many hours studying the material they sent me. A lot of people don't pass the exam on the first try. It is not just about common sense and using your intuition. There are very specific rules and guidelines and they are testing you to make sure you understand them and use them. Read and re-read the study guide. I'm not trying to scare you because many people do pass it, but I do want you to be prepared to give you the best possible chance to get hired. Occasionally they allow a one time re-take, but don't rely on this. In terms of getting paid, from what I've seen most companies pay you once a month. You will set up a direct deposit system and get paid the following month for the previous month's work. It is all very organized. You are considered an independent contractor so that means that you are responsible for all your tax requirements. Keep good records for yourself and you will also be sent an income form for year-end tax reporting. You might be able to deduct some home office expenses, but look into this yourself for your own location. I am so happy that I stumbled on this interesting side hustle as a search engine evaluator. This job lets me stay at home with my daughter, while making extra money. I still have more hustle in me, and this is a job I can do while pursuing other hustles. If you're looking for a flexible job where you can work less hours or more hours (and set those hours yourself), this might be the perfect side hustle for you. Look into it and if you have any questions please reach out, I will answer if I can! Are you interested in side hustling as a search engine evaluator? I'm Suchot, the owner and writer at The Curious Frugal! 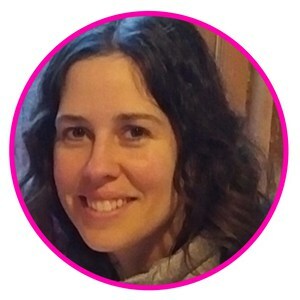 I write about work from home ideas and flexible side hustles, parenting, and frugal living. This site provides help and encouragement for you to go after your dream life, even (especially!) if it's unconventional. Click here to learn more about The Curious Frugal. Hi Suchot, thanks for the new side hustle idea! I started researching the individual co’s and had a few Q’s. It looks like the work could be sparse at times, did you find a way to increase the amount of work you received? Also, it sounds like the work can end abruptly, do you just move on to another company when that happens? Thanks for the help and for putting together such an informative post. What a great post, and what an interesting job. Thank you. This seems like the perfect work from home job! Having a 16 month old and having to go back to work soon I’m going to give this a try! It is a great work from home job! There aren’t many jobs that are this flexible (and it’s interesting too!). I came across this idea of search engine evaluator a few months back and loved it. While I am not going to give it a try, I am truly fascinated with this work at home job option. I checked out your website and loved! I write about work from home ideas as well and bookmarking your blog so I can read it regularly. Yay! Thanks so much Chhavi! Glad you liked it 🙂 I love finding out unique ways that people can make a living or side hustle.